Visit Las Vegas and catch Michael Jackson's ONE, an electrifying fusion of acrobatics, dance and visuals and hailed by Rolling Stone. 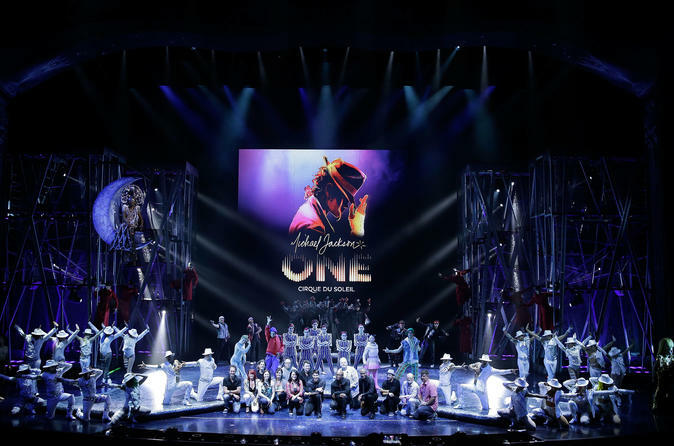 The dinner and show package for the Michael Jackson "One" at Mandalay Bay, is one of a kind. Your 3-course dinner begins at 7:00 pm at the Rivea located in the Delano, and after you can make your way down to see Cirque du Soliel present Michael Jackson's "One" at 9:30 pm. Hailed by Rolling Stone as “A virtual parade of ‘wow’ moments,” Michael Jackson ONE is an electrifying fusion of acrobatics, dance and visuals that reflects the dynamic showmanship of the King of Pop, immersing the audience into the world of Michael's music. Driven by his biggest hits heard like never before in a riveting, state-of-the-art surround-sound environment Michael Jackson ONE by Cirque du Soleil performs exclusively at Mandalay Bay Resort and Casino in Las Vegas.